Frank…As I read this poem I began to think you were inside my head writing about what you found there. I often enjoy reading here, but this one really hit me over the head. I know these sentiments so well…they are painfully familiar. You struck at the very heart of me. Thanks so much for this poem and for your visits to my own blog. I haven’t posted a poem in a while, but maybe I will work on it now that you have inspired me. I just love this poem so I’m reposting it here in my blog. Beautifully written, you never fail to impress me! This was Beautiful…words from the heart! Thank you. I had similar conflicts some 25 years ago. Sorry, I should say that I still have those conflicts. In addition, thank you for liking my little post on Poet’s Corner. Reblogged this on Let me give YOU the Moe-down. Thank you for liking my post on Mr. Church. I find it extremely uplifting that poetry is still alive and continuing to being created. These days it seems that written creative expression is limited to tweets. Very nice expression on some of these works. I also write/wrote poetry, but haven’t found the nerve to expose it to the criticism of the world. They are more personal and raw…unlike other forms of expression. Kudos to you. There is no cure for love, it is the greatest equalizer of all. Even I my age, I can totally relate to this! I hope you let this person know. They may be going through the same thing, and you could grow into something new together. Beautiful. Reblogged this on ARIANNE's Journal. Great piece. The syncopation is musical. I like how the line “Ever since I’ve met you” brings back the central theme like an echo. I wish I could write poetry like this some day. Lyrical. Obviously a song, and a fine one at that. As bad as my bad could was it made me realize how good life could be when it was good. Did that make sense? Very tender poem, Frank. And a poem of the traditional format which is refreshing. Ah, love is blind. You have a beautiful piece of artwork here. Continue writing more poems and you’ll be proud of your work. By the way, thanks for liking my new blog. I just signed in here and decided to post one blog and I’m glad that someone appreciated it. Really nice. My kind of poetry! Absolutely beautiful. Surely it came out from your heart. Expression of emotion can’t be done by composition. Thank you for visiting again and like my new post. When we love, we express and we dream. You have a good soul and show it through mortal thoughts on paper ( as it would be). Thank you for sharing. 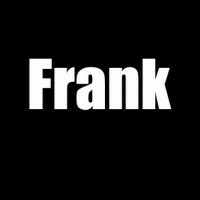 Hi Frank, very nice poem. I really like it. And thanks for visiting my blog. An aha as I read this, reconnecting me to a prior season of my life. And indeed, I am STILL not who i was “before”. Lovely poem! It’s been a long time since anyone made me feel like that. Heartfelt. Thanks for liking my post! Thank You. Proper poetry! Not prose put into lines (and often incomprehensible) and called ‘poetry’. I have some poetry on my other blog if you would like to take a look at it. http://aspholessaria.wordpress.com/ It’s the blog for my other writing–fantasy novels. I hope it makes you a better person. Very well written and agree, it has a good flow for music! I could empathise with thisl, but from a different viewpoint – that of the changes brought on by age. See my blog next week. I could see this becoming a Grammy winning song. 🙂 Great stuff. Keep up the great work! Your words are not quite to the point You’ll have to let the person know They are breaking down your every joint Replacing them with bough. I could feel the passion in this Frank, love springs eternal and what a wonderful thing it is even with all of its luggage. The seemingly painful side of love. Beauty. Keep it up brother. It’s so interesting how a few words can say volumes. Thanks for sharing. Good use of tri-meter and tetrameter. The lines that don’t scan emphasize the out of myself feeling. We soul felt words, as drifting into loves illusions and beat. I can relate to this exactly. Beautiful. Personally, my heart is broken. I m still trying to figure out why his spiritual presence, which is very real, still makes me long for his body, which is eternally gone. It s crazy. Thank you for visiting my blog and liking my post. Reblogged this on Shinette's Thoughts. Thoughts are so full of passionate feeling. A beautiful way to come to self realization. Anand Bose from Kerala. Lovely words. Can be made into a soft song. Lovely, it comes straight from the heart. Wow… wondering if there’s a sequel. Lovely (and gut-wrenching) poem. Thank you for visiting my blog! Love is mysterious isn’t it? I shouldn’t drag down the beauty and truth of your words by comparing it with pop music, but in my essay on the song “Only You,” I point out how the lyrics mean the same to me as what you are expressing in your lovely, exquisitely expressed poetry. My post gets a little quirky and the image is inappropriate, but sometimes I can be a little too somber. Wow! You really got it bad. Great poem. Blessings. Love it……it sums up exactly my feelings for my wife. Thank you for letting me read this today; just what I needed. Very powerful words. Would like to see this set to music! Send me your favorite, and I will put it up on my blog (with your permission). Had this one been entered in my most recent contest, it probably would have at least been a finalist. Nice job! Poetics have a knack for articulating feelings. It is something I admire. Thank you for liking my recent post “Think About the Personal Life” on the Personal Idea blog. Beautiful love poem. Hopefully you gave it to someone special and it made them smile. Beautiful words there. Definitely should be turned into a song! Maybe play it out sometime, record it? Every person with whom we have meaningful contact impacts us so that we are not the same. Nice flow to this. Very powerful. Very poignant. I can totally relate. Thank you for your lovely words, touched my heart to beat faster. I would love to post these words to my friends so they can appreciate. Beautiful and can definitely relate. I appreciate the like, Frank. Thank you. Thank you for liking my most recent post. Someone should set this to music, I think it would lend itself well to a variety of genres. The rhyme is particularly effective in this poem. Thanks a lot for saying that. Quite romantic 😊 love it! Nice. I definitely can relate. Thanks a lot. It came straight from the heart. Words from the heart are always the most powerful.